Like every year since I joined Percona, I also plan to speak at the next Percona Live Conference & Expo in Santa Clara during spring 2016. 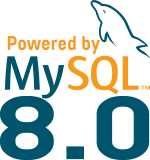 Once again I want to share with the users, DBAs and developers my experience related to MySQL High Availability and especially with Galera. This year, Percona implemented a Community Vote to rate the talks you would like to see in the schedule. So if you want to attend one or more of my talks, please vote for them. Of course, I invite you to rate other people’s talk too, that will help the organisation and the Conference Committee to prepare the schedule.